Rainbow Loom is so popular in Singapore too. I started to loom when I saw shops are selling the kits and refills. As such, I have decided to purchase it but to my surprise, I am also addicted to it. I started to loom and use it as a hair band. It does secured tightly. As time goes by, I am not satisfied with just the given colour bands from the kit, therefore, I have decided to buy more of other unique colours. I have enjoyed looming and find that there are too many for my own use . As such, I have decided to loom it for my return customers. 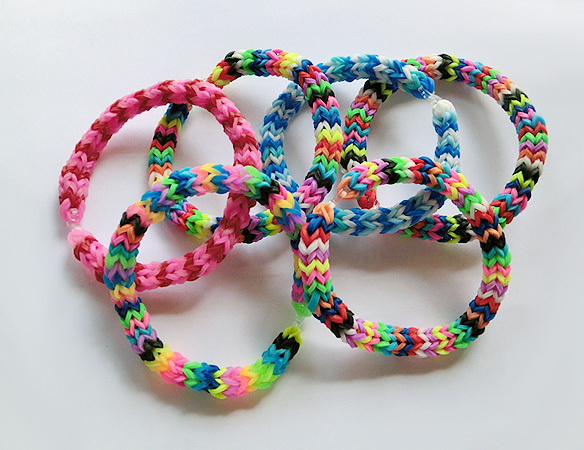 Each rainbow loom bracelet will be randomly pick while stocks last (will replace with other gift).